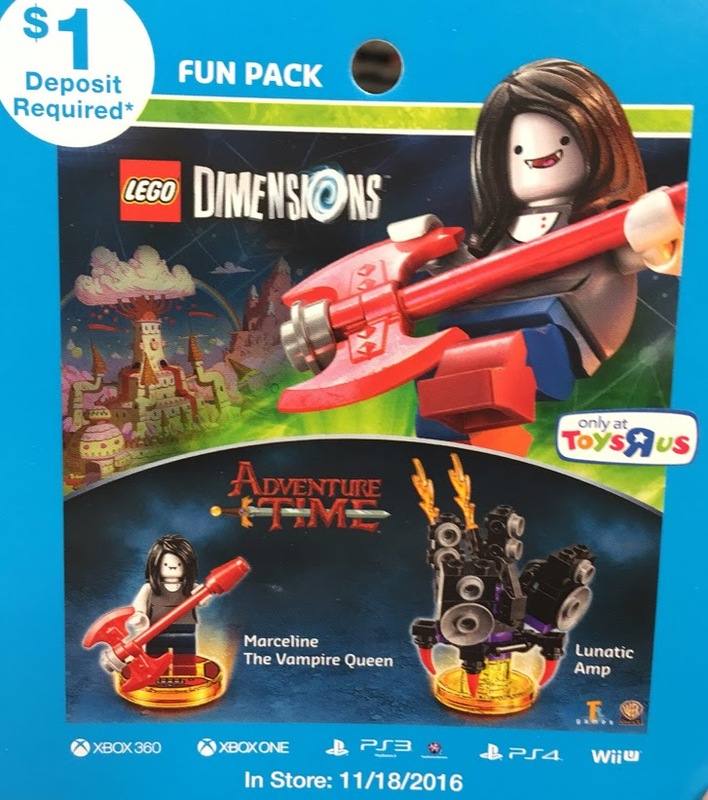 If you are looking to pick up the Marceline LEGO Dimensions Fun Pack, looks like you may have to go to Toys”R”Us this November. According to a pre-order card that is set to be distributed at Toys”R”Us stores, the Marceline Fun Pack will be exclusive at the retailer starting November 18th, 2016. As of right now, it’s unclear if it is a timed exclusive (like Laval was) or if it is a permanent exclusive (like the Jay Fun Pack). We previously knew that Wave 7 would launch in November, so perhaps the entire wave will launch on the 18th as well. 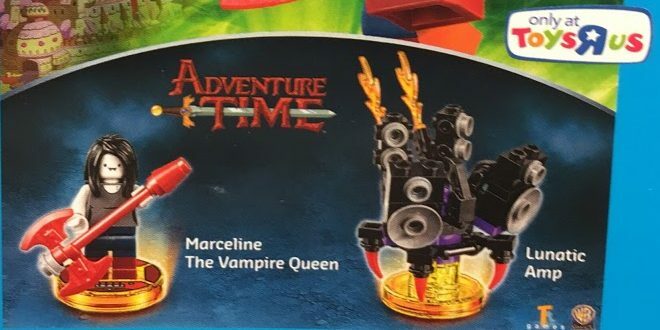 Keep the Adventure Time party rocking in the LEGO Dimensions multiverse with Marceline the Vampire Queen! Build and place her on the LEGO Toy Pad to send her into the game with her Sonar Smash and Bolt Deflector abilities using the Marceline Axe Guitar. Activate her Telekinesis and Teleport skills to make your way through the Adventure Time Adventure World and Battle Arena. build and use Marceline’s Lunatic Amp to make some noise, and rebuild it into the Shadow Scorpion and Heavy Metal Monster when you need even more power. With this leak and the Fantastic Beasts leak this weekend, looks like LEGO might announce a few things this weekend at San Diego Comic Con! Source: Big thanks to Dan from BricksToLife for sending over the clearer image! DEAL: Toys-To-Life/LEGO Dimensions “Blitz” One Day Sale At Toys”R”Us!